Our herring recipes section contains a variety of delectable herring recipes. Herring is extensively eaten in European and American countries. Herring tastes best when they are smoked, baked, salted or pickled. Try our range of easy herring recipes and learn how to make herring recipes. Beet And Herring Salad is a tasty recipe. Learn how to make/prepare Beet And Herring Salad by following this easy recipe. Pickled Herring is a spicy Norwegian delight that is very easy to make. Learn how to make/prepare Pickled Herring by following this easy recipe. 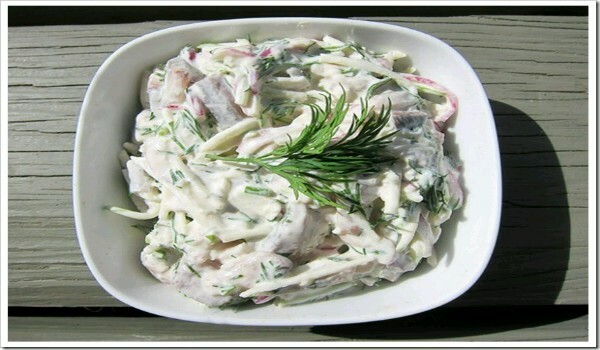 Herring salad is a nutritious and delicious Scandinavian salad. Learn how to make/prepare Herring Salad by following this easy recipe. Salted Herring is a seafood delicacy from the Swedish cuisine. Learn how to make/prepare Salted Herring by following this easy recipe. Fried Herring is a very popular recipe. Learn how to make/prepare Fried Herring by following this simple & easy recipe. Herrings in Sour Cream is a very popular recipe. 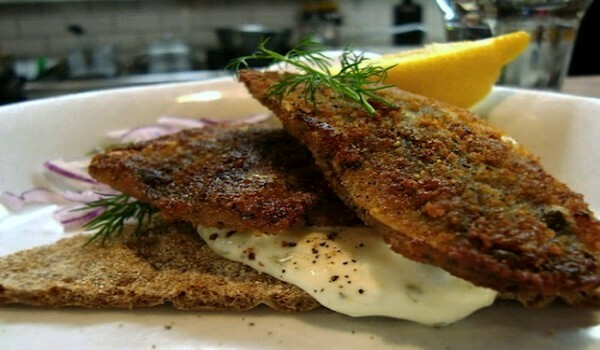 Learn how to make/prepare Herrings in Sour Cream by following this easy recipe.